When you look at the great musicians of the past several decades, what comes to mind? Great innovation, new sounds, touching songs, great technical facility…? How about fear, doubt, depression, uncertainty…? I have been expanding my music listening by checking out a handful of jazz records every couple weeks from the local library. 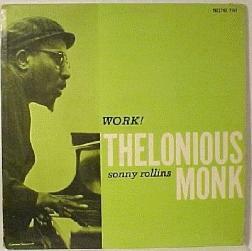 I recently picked up a live recording of Thelonious Monk. Catchy song titles such as: “Crepuscule with Nellie,” “Epistrophy,” “Green Chimney’s,” and “Shuffle Boil” are enough to grab my attention not to mention the number of jazz musicians who cite Monk as one of their greatest inspirations. This was enough for me to search out a biography of the great piano player. A quick read on the life and career of the great Miles Davis lead’s inevitably to the 1970’s where he dropped his musical values and chose a path of popular music. 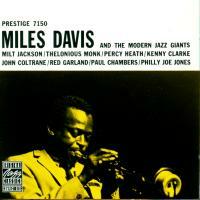 Now don’t get me wrong, there’s nothing wrong with popular music, but Miles was a jazz musician. He looked at the world through the jazz filter. His fear of losing relevance under the shadow of arena rock acts caused him to turn and swim with the current instead of forging ahead in his area of great strength. Hindsight is 20/20. Time has shown what these two musicians contributed to society through their decisions and music. Monk became a hero and Miles a fallen star. When young musicians come to me looking for who they should aspire to be like or asking me to validate their musical role models, I feel compelled to share the darker side of the lives of their heros so they understand that being highly skilled and talented does not make your life balanced, happy, and perfect. Being great at playing an instrument is hard work—the better you get, the greater your failures become. It takes a huge amount of perseverance to continue upward. Sometimes you feel like giving up. Sometimes you are so driven to get to the next level that you miss out on things around you. Remember: Music is fun, and Music is to share. Reward and risk. You have fun playing music and some listeners will like it and some won’t. Let’s learn from the great musicians we listen to and remember that the feelings of inferiority, loneliness, and uncertainty are not ours alone. Monk and Miles dealt with it too. I didn’t know that about Miles. Fascinating. I find it interesting that people primarily fixate on “Kind of Blue” and leave Miles locked in that moment in time. I like the Philip Glass quote. I didn’t realize he was such a philosopher as well a brilliant composer.